The six-member Expedition 43 crew ends its work week with a wide variety of science exploring life in space benefiting both crews in space and humans on Earth. Meanwhile, one space freighter is preparing to fire its thrusters to lift the station’s orbit as another is being packed and readied for splashdown. 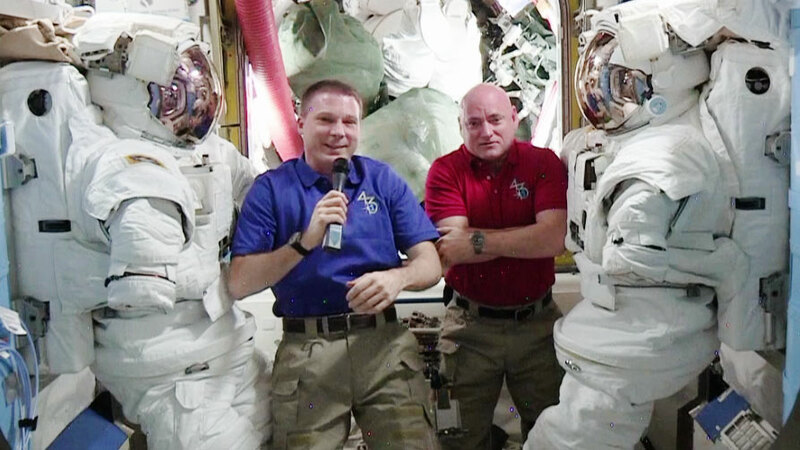 One-Year crew members Scott Kelly and Mikhail Kornienko participated in the Fine Motor Skills experiment which monitors different phases of a crew member’s microgravity adaptation and recovery back on Earth. Commander Terry Virts took samples of air and surface microbes for the Microbial Observatory-1 study which will be analyzed by scientists on the ground. Samantha Cristoforetti studied the physics of where fluids and gases meet in Japan’s Kibo lab module. Flight Engineer Gennady Padalka worked on video gear and tested magnetometers in the station’s Russian segment. Flight Engineer Anton Shkaplerov studied chemical reactions in the Earth’s atmosphere, checked Russian docking systems and photographed windows in the Pirs and Poisk modules. The ISS Progress 58 resupply ship docked to the Zvezda service module will fire its engines Friday night. The orbital boost will place the International Space Station at the correct altitude for the undocking of Expedition 43 in early June. The SpaceX Dragon loaded with science and gear will be released from the grips of the Canadarm2 May 21 at 7:05 a.m. EDT for a splashdown in the Pacific Ocean a few hours later. The station raises its orbit periodically because over time the station’s altitude degrades. It also needs to be at the right altitude when spacecraft arrive and leave.